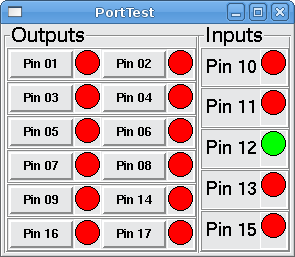 This is a little parallel port tester done with pyVCP. You can push the output buttons and change the state of each output. When you toggle an input it shows up on the screen.